Choose a venue with personality. Casual & formal event venue in Bath from £220. We've 4 event spaces all under one roof. Alfresco wood fired pizza and bar situated under the stunning glass roof of the former railway station. Big oak tables, award winning pizza and beers. Perfect for casual events. From formal dinners, 30th birthday parties and conferences to wedding receptions, AGMs and end of season award events, Bath Function Rooms is a stunning venue above the Brasserie. Popular for all types of parties and wedding receptions, the former station ticket hall is now one of Bath's best loved independent restaurants and available for private hire. Planning something bigger? 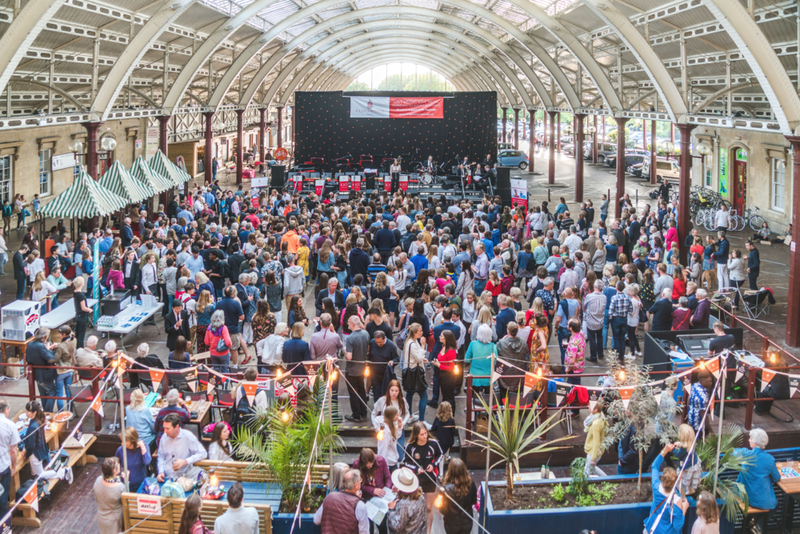 Ideal for festival style events for 250+ people, we'll work with you to put on something special here in Green Park Station, Bath.